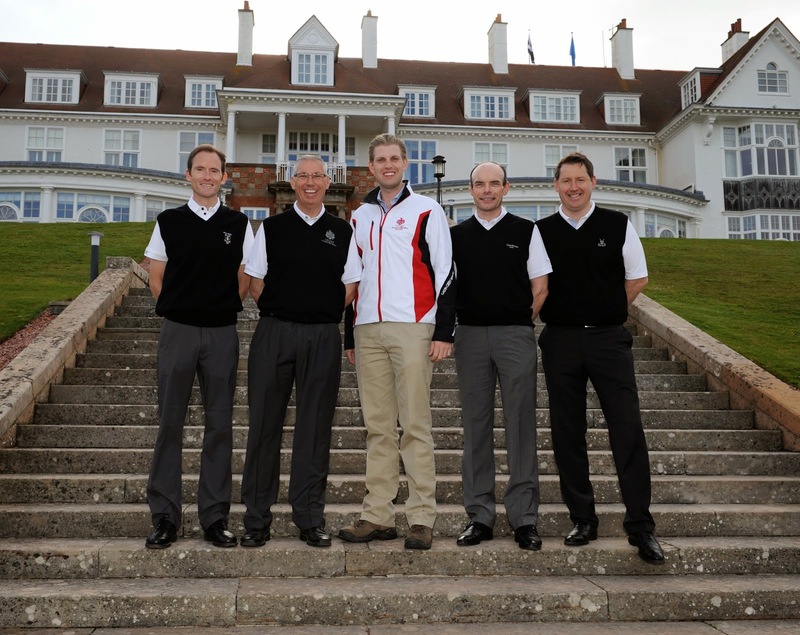 4 Ayrshire Golf Pro’s play 6 Championship Golf Courses in 1 Day! Four local Golf Professionals are teeing off on a special charity golf challenge to play six of Ayrshire’s Championship courses in one day. Attempting the feat to play six courses in one day on the 20th June, are the Head Professionals at four of Ayrshire’s finest golf courses, including three venues that have hosted the Open Championship 36 times between them. Ricky Hall of Trump Turnberry, David Fleming of Prestwick Golf Club, Kieron Stevenson of Royal Troon Golf Club and Guy Redford of Dundonald Links, will be taking up this challenge in a bid to raise funds for a selection of charities. The Eric Trump Foundation and CLIC Sargent have been named as the beneficiaries, with The Eric Trump Foundation raising funds as part of a new partnership that will help Yorkhill Children’s Charity. 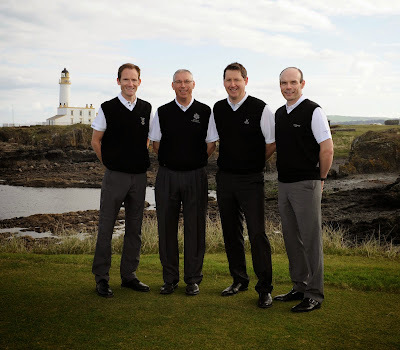 “We all met working at Turnberry at various times over the years and we all have stayed in touch and remained friends. When we started to discuss the idea of doing something for charity it really had to involve golf and it’s great to be able base the concept around these six great golf courses. We will be out on the courses practicing but I’m not sure anything can really prepare us properly for what’s to come – we’ll be walking each course with no buggies or caddies, so it will be an interesting and exhausting day! The team will start on the Championship Ailsa course, before continuing on to the Kintyre Course, Dundonald Links, then the Portland and Old courses at Royal Troon, finishing at the birthplace of Open golf, Prestwick Golf Club at approximately 10:30pm.